Pole vault over the WordPress learning curve with our revamped tutorial site. If you just started a spandy new WordPress blog or site and want to work on setup and configuration in your spare time, we’ve recently refreshed a resource that might be just the thing for you: learn.wordpress.com. Showcase a personal project? Maybe you’re working on a photo-a-day project, some short stories, poetry, or a memoir? Highlight your business’ offerings and attract new customers? Promote an organization and want to know how to get connected to potential supporters on social media? No matter the reason you created that new site, learn.wordpress.com is standing by. Here’s a bit of what’s on offer to help you create a site that is uniquely you. Regardless of whether you’ve got a blog or website, you’ll want to have a strong password and complete your online profile. Get Started, in addition to telling you a bit about our paid plans, will walk you through both. You want your online home to reflect your personality or in the case of a business or organization, its brand. 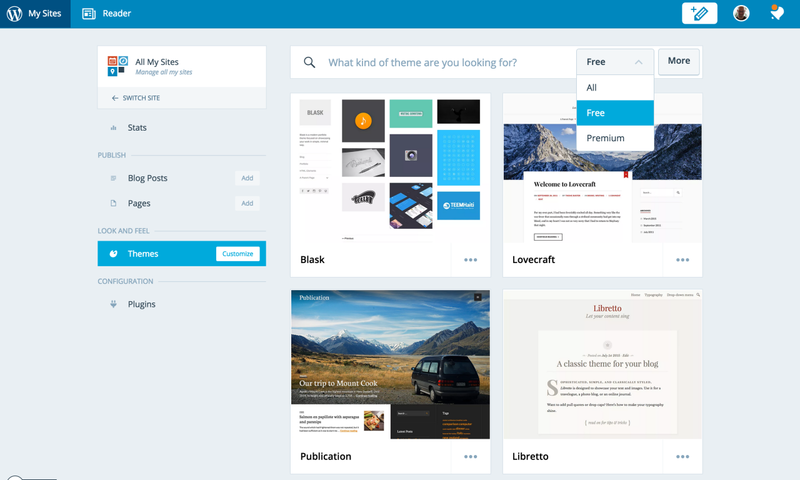 WordPress.com has over 350 themes (some paid and some free). In Get Personality, you’ll learn how to search and filter themes based on their aesthetic qualities and features. You’ll also learn how to preview themes and activate the perfect one for your site. Once you’ve got a theme that’s “you,” you might want to make that theme unique by creating a custom header, revamping the color scheme, and choosing some custom fonts that add precisely the right touch. Get Configured will show you the ropes. If you’re not sure what a widget is and what it can do for you, Get Flashy‘s got you covered. You’ll learn how widgets can enhance the form and function of your site, from allowing you to add custom touches such as your Twitter Timeline and the Facebook Like Widget to photos and follow buttons. Post or page? Menus, oh my! Check out Get Published to learn how to create custom menus, the differences between posts and pages, and how to create and publish all three on your blog. When you publish a post on your site, you want your followers to know about it. In Get Connected, we’ll introduce you to Publicize. 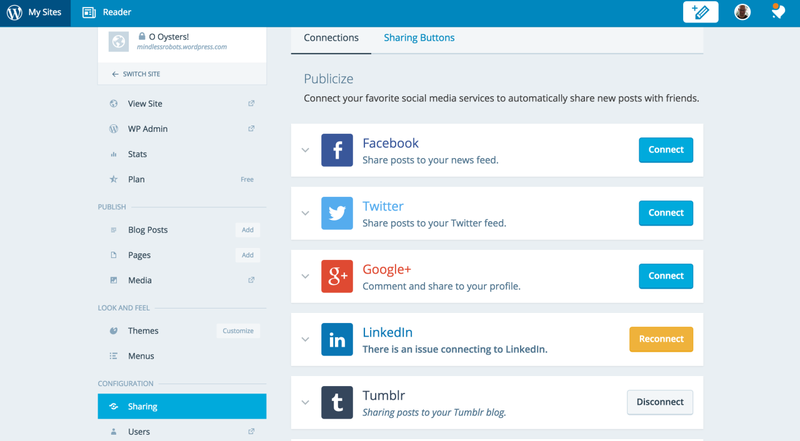 It allows you to broadcast your blog posts across Twitter, Facebook, Google+, Tumblr, Path, and LinkedIn — automatically. You’ll also learn about tagging your posts and how it can attract visitors from the WordPress.com Reader. Or, if this isn’t your first blog or website and you’d like a setup and configuration refresher, check out Get Going Fast: A Checklist. If a WordPress term has you scratching your head, check out our glossary. Thanks, I’ve been wanting to update my blog and could use a how/to refresher. Such a great resource! Thanks for all the info! Love all the WordPress support – thank you. In Jan 2011 I took the WordPress challenge to write a post every week – the only new year resolution I have ever kept – amazing I have indeed written a post every week since then! Thanks for the post – nice features! Look forward to updating mine. 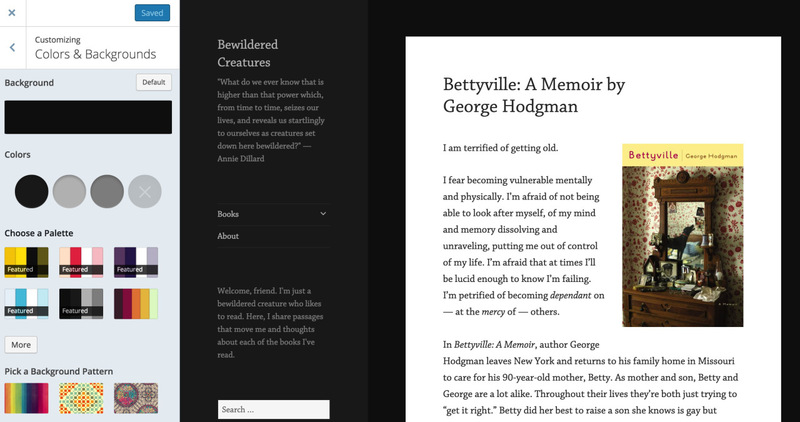 Just started playing around with my blog. Looks like a great resource tool. It’s a beautiful thing! Good news for all of us Word Press fans, thanks so much!